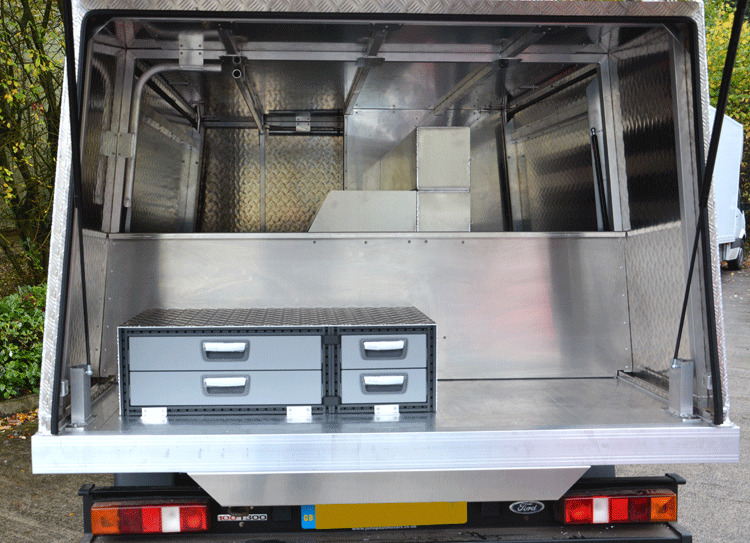 Home / Workstations / Farriers / Ford Transit Flat with a Farriers Workshop. 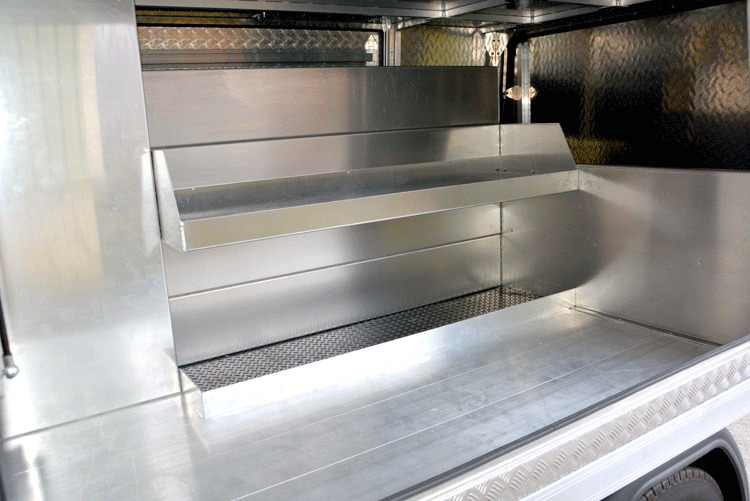 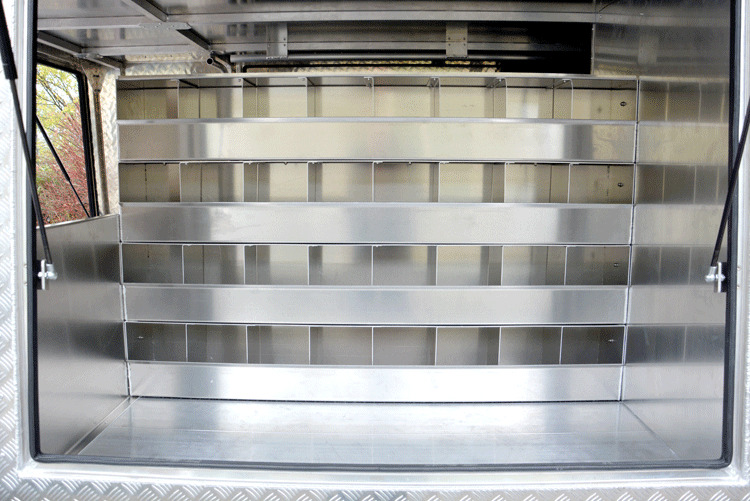 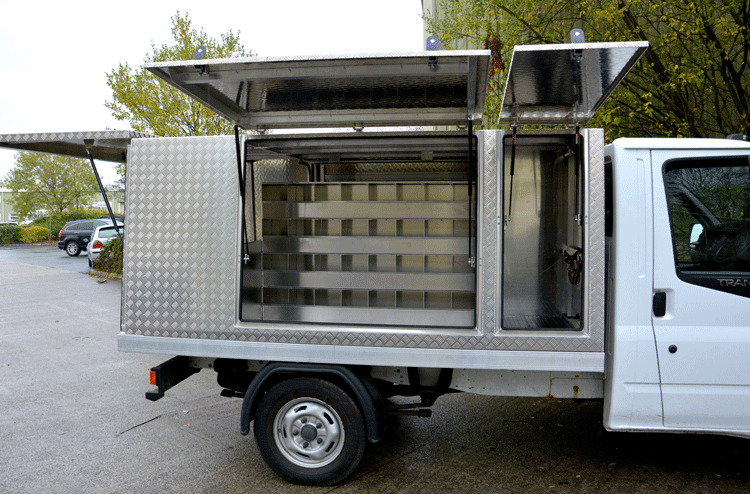 The Transit came to us as a chassis cab and we built an Aluminium Flat bed onto it. 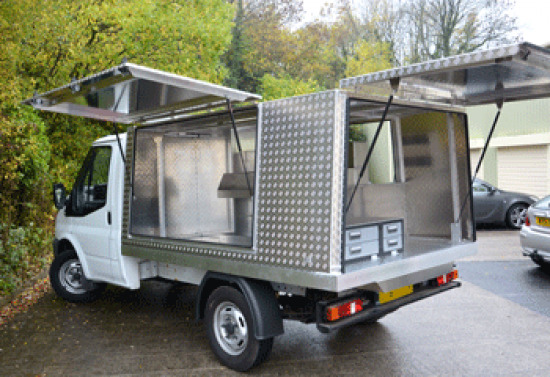 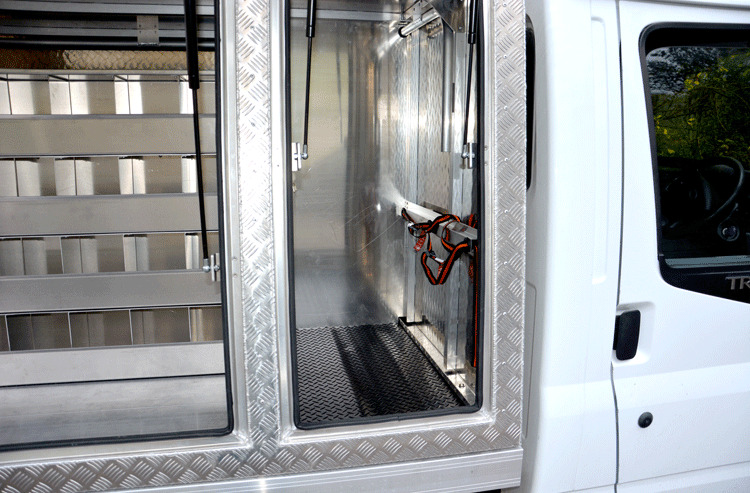 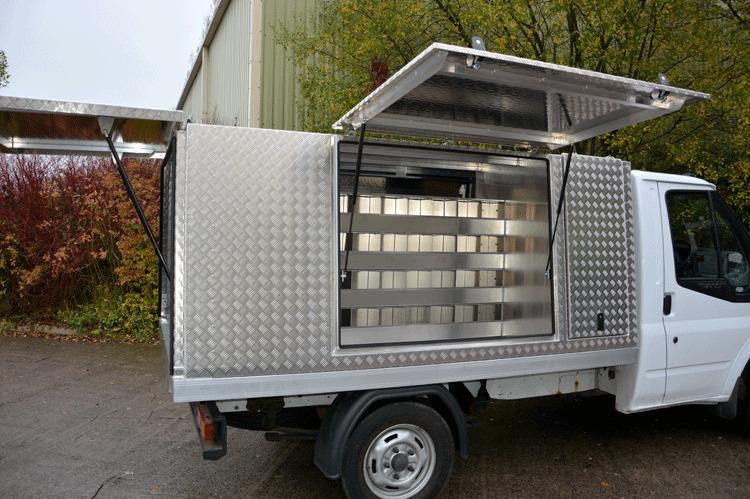 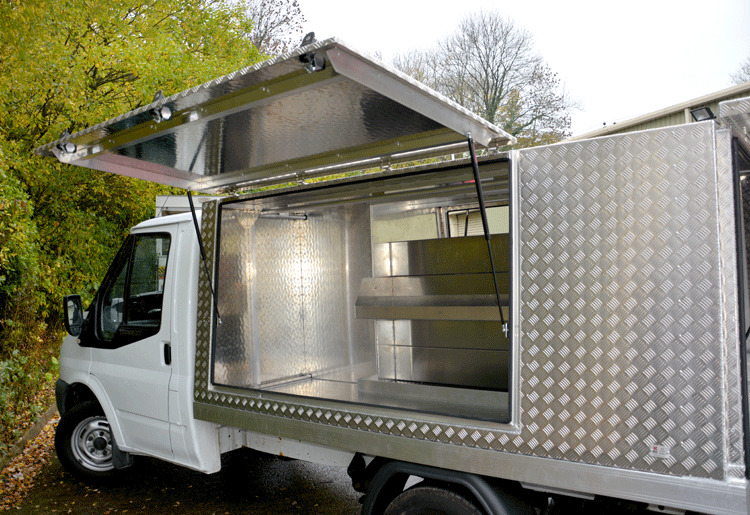 A Canopy was then fabricated and fitted to the bed, it has opening lift up side doors and a full sized rear door, which is great for working under, you could have a team of farriers working out of this vehicle and all have plenty of work space.